When it comes time to plan for New Year’s Eve, here’s a pro tip: Do not go to Disney World. Usually in every situation, no matter what the situation, I’m always like, “yes, you should go to Disney World!” Except when we’re talking about December 31st. 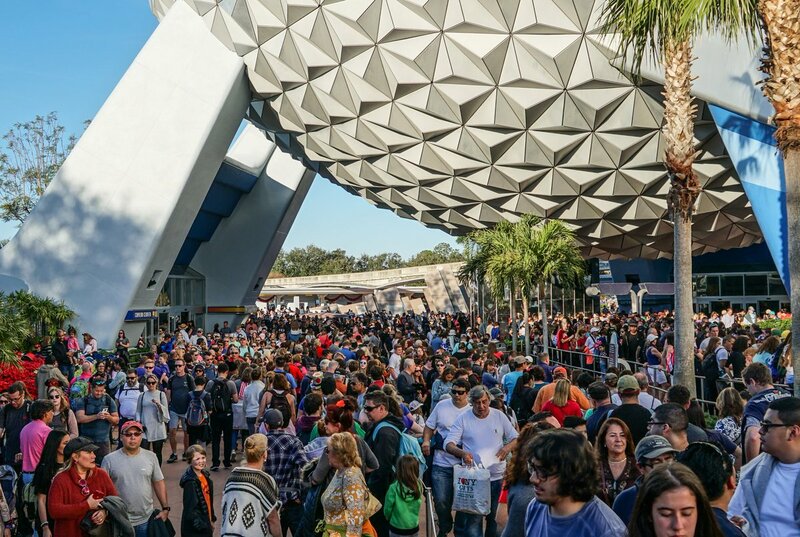 New Year’s Eve is the busiest day at the Walt Disney World resort — and sure, you might have seen “busy” days in the park before during the summer. But you’ve never seen anything quite like this. If you head to the Orlando, Florida theme park for the end of the year holiday, be prepared to wait for everything. And I mean, everything. You’re already going to be waiting for rides, because that’s a given. However, are you prepared to wait five hours for one ride? Are you prepared to wait 45 minutes just to get some quick service food, and the keyword here is NOT quick? Are you cool with sitting on Main Street U.S.A. for something like, six hours just to get a good spot for the fireworks??? These are all things you will encounter, and just might end up doing, if you go to Disney World on New Year’s Eve. While all four parks do put on quite an impressive NYE celebration — including fireworks, hats and noise makers, special performances, dance parties, exciting food and beverage offerings, etc. — that fun might not be worth the bonkers crowds you will encounter just trying to walk through Fantasyland. It…it does not look like fun. TBH, just looking at this picture gives me anxiety. Magic Kingdom actually hit park capacity during the day on NYE 2017, which means there are so many people in the park no one else can enter in. That’s how crowded the park gets, so like, if you’re already thinking about a trip for NYE 2018…have fun? Godspeed? And that five hour wait for rides? Not a joke. Oh also, just to get into the park, you will wait in line. The traffic around Walt Disney World was pretty bonkers, with cars all up and down the highway. Want to look at pictures of a different park? Okay, here’s Epcot, which is actually bigger than Magic Kingdom which means there were even more people hanging out there for New Year’s Eve. That’s…that’s a lot of people. It might actually be too many people. Also here’s Disney Springs, which doesn’t even have any fireworks at midnight but still…a projected three hour exit. In short, please don’t go to Disney World on New Year’s Eve. Go like…the first week in January after everyone has left and the parks are nice and empty because everyone is back at school. You will thank me later.